Mike Arp, sales representative of Cashman Equipment, was confident that the company could support the proposed Cat 522B feller buncher for Stoy. When you think of a forest, you likely think of a beautiful peaceful stroll or an invigorating hike through the trees. And of course you want to protect those trees and keep them in all their glory, right? That's what DL Stoy Logging does. Stoy is a logging professional who grew up in the “chainsaw days” of logging but has experienced extensive changes in the industry. Prior to the 1990s, large diameter trees (greater than 30 inches in diameter) were the standard for removal in Plumas County. During the early 1990s, however, the Forest Service in California assessed the state's spotted owls as endangered; significant changes had to be made in the logging industry to preserve the high quality nesting and roosting habitat of the spotted owls. That habitat happened to include maintaining multi-layered forest stands dominated by large diameter trees. This changed the entire landscape of the logging industry not only in Plumas County but throughout the western part of the United States. Logging companies completely altered their business model and shifted their focus to small diameter trees (less than 30 inches in diameter) in order to stay in business. When Stoy began his own independent company in 2005, he and his employees became dedicated stewards of the forest, thinning the forest of small diameter trees to help prevent wildfires. In order to do that, Stoy needs equipment that has evolved along with the industry. When he realized he needed a new feller buncher for cutting down the trees, Stoy weighed the attributes of many brands. His existing models were great machines, but DL Stoy Logging needed more advanced support for parts and service. 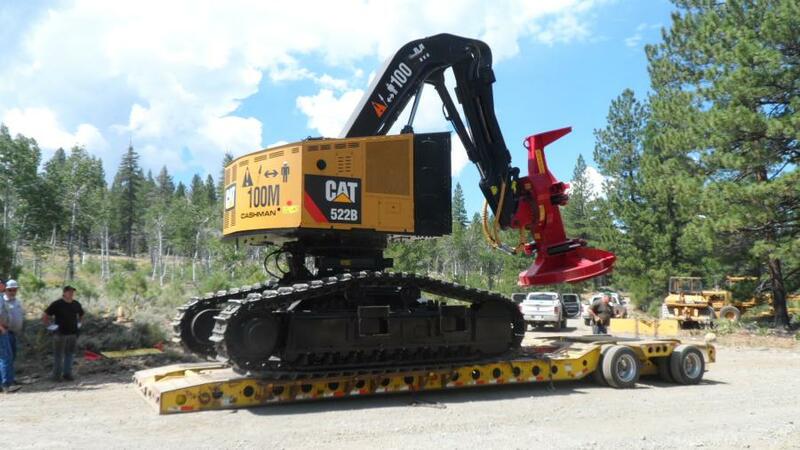 Mike Arp, a sales representative of the Cat dealership, Cashman Equipment, ran into Stoy at a logging show in Anderson, Calif. While logging is not a large industry within Cashman's territory, Arp knew his dealership could meet both the product and support needs of DL Stoy Logging. 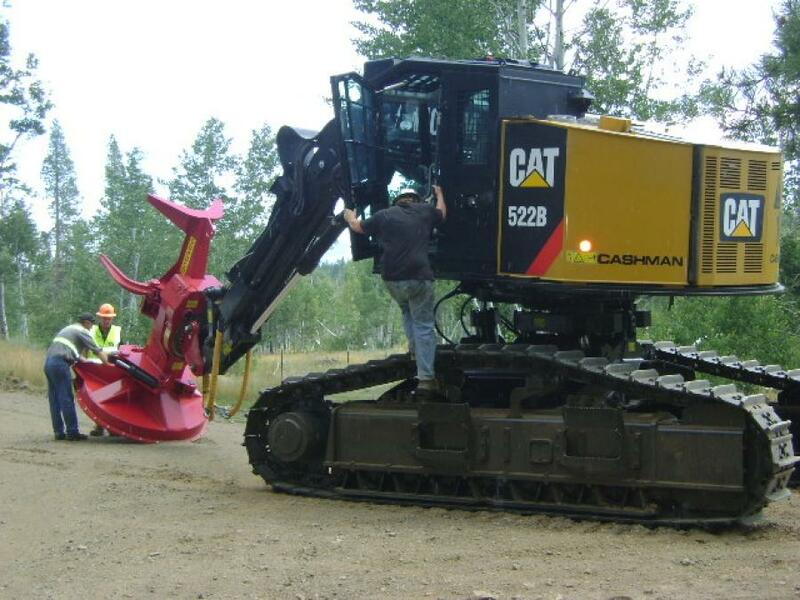 Arp was confident that Cashman Equipment could support the proposed Cat 522B Feller Buncher for Stoy. Arp met with the field service department and ascertained which technicians had logging equipment experience. 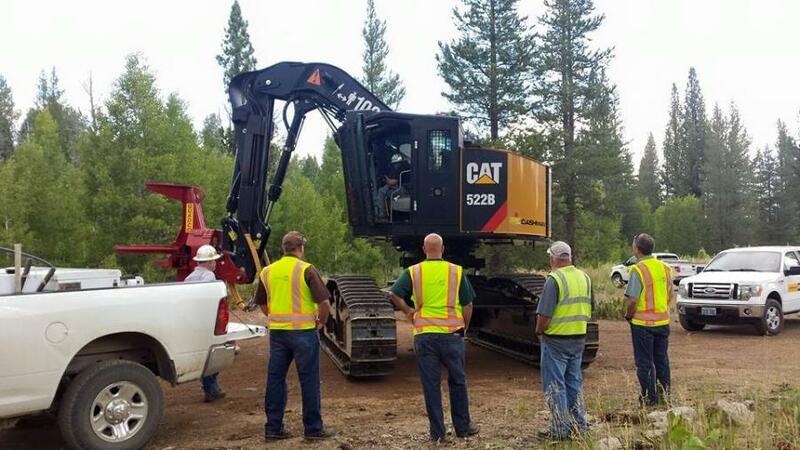 Jason Heath, a field technician who lived just an hour away from DL Stoy Logging's location, was enthusiastic about becoming Caterpillar-certified to work on the 522B. Heath and fellow Reno field technician Claudio Bustamante went to a week-long training course in Georgia and returned home as Caterpillar-certified technicians for feller buncher service and repairs. While the service technicians were training, Arp discussed parts requirements with Reno parts manager, Candi Sweeney. Sweeney in turn worked with Caterpillar to get all the manufacturer recommended parts in stock at the Reno warehouse. 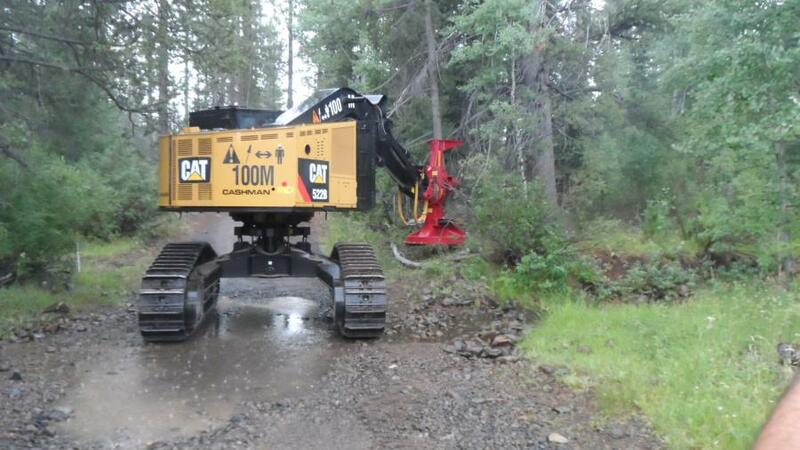 Through her and Arp's efforts, Cashman Equipment was able to commit to free parts deliveries to DL Stoy Logging three days a week — a very unique arrangement, as Stoy is in a remote area about three hours from any major cities. Timely parts and service are vital for DL Stoy Logging, however. They handle approximately 2,000 small diameter trees a day — a machine being down for a day can cost them thousands of dollars in production and profits. With downtime as a 100 percent loss, Stoy based a lot of his purchasing decision on Cashman Equipment's parts and service support. With Cashman Equipment's parts and service guarantees, Stoy elected to purchase the Cat 522B feller buncher — the first one ever sold by Cashman Equipment. With the parts and service guarantees of Arp and all of Cashman, Stoy now has a solid partner supporting him and his business as it grows.